Birdforth Hall, Birdforth Hall Cottages in Birdforth, near Easingwold sleeps 18 people. Steeped in history, Birdforth Hall Cottages are the perfect base from which to explore the diversity of North Yorkshire, with the dales, moors, coast and the city of York all within easy reach. The properties (refs IYV, ISU [The Mill House]) benefit from shared use of superb leisure facilities with an indoor heated swimming pool, fitness room and an additional area in which to sit and relax, and both are perfect for family celebrations, special occasions and reunions. Historic York, 16 miles, has a wealth of attractions, with its iconic minster, Jorvik Centre, museums, art galleries, shops, bars and restaurants. The magnificent 18th-century house at Castle Howard, National Trust Beningbrough Hall and the World Heritage site of Fountains Abbey provide excellent days out. The World of James Herriot can be found in Thirsk and the theme parks at Flamingo Land and Lightwater Valley provide fun for all the family. Visit the quaint market towns of Easingwold and Helmsley; enjoy walking and cycling trails in the Howardian Hills, an Area of Outstanding Natural Beauty, and experience generous Yorkshire hospitality in numerous traditional inns, with award-winning real ales, and tea shops. The elegant spa town of Harrogate, 26 miles, with renowned Harlow Carr Gardens and the cathedral city of Ripon, 17 miles, are not be missed, or perhaps spend a day at the races in York, Thirsk or Ripon. Shop 4 miles, pub 2 miles.Steeped in history, Birdforth Hall Cottages are the perfect base from which to explore the diversity of North Yorkshire, with the dales, moors, coast and the city of York all within easy reach. The properties benefit from shared use of superb leisure facilities with an indoor heated swimming pool, fitness room and an additional area in which to sit and relax, and both are perfect for family celebrations, special occasions and reunions. Historic York, 16 miles, has a wealth of attractions, with its iconic minster, Jorvik Centre, museums, art galleries, shops, bars and restaurants. The magnificent 18th-century house at Castle Howard, National Trust Beningbrough Hall and the World Heritage site of Fountains Abbey provide excellent days out. The World of James Herriot can be found in Thirsk and the theme parks at Flamingo Land and Lightwater Valley provide fun for all the family. Visit the quaint market towns of Easingwold and Helmsley; enjoy walking and cycling trails in the Howardian Hills, an Area of Outstanding Natural Beauty, and experience generous Yorkshire hospitality in numerous traditional inns, with award-winning real ales, and tea shops. The elegant spa town of Harrogate, 26 miles, with renowned Harlow Carr Gardens and the cathedral city of Ripon, 17 miles, are not be missed, or perhaps spend a day at the races in York, Thirsk or Ripon. Shop 4 miles, pub 2 miles. Birdforth Hall (ref IYV) was built in the 16th century and considerably extended around 1900. The Hall stands detached, in its own grounds, and is adjacent to the other properties. Carefully decorated and lovingly furnished, with a superb large panelled drawing room with wood-burning stove, breakfast kitchen with Aga, four en-suite bedrooms, four further bedrooms, and two house bathrooms, it offers not only an air of grandeur, but a great deal of space in a traditional, yet comfortable style. With well established private gardens up a sweeping gravel drive, it affords complete seclusion in a wonderfully convenient location. Living room with wood-burning stove and oak panelling. Sitting room. Spacious dining room. Farmhouse-style kitchen with Aga, electric range (for cooking) and breakfast area. Utility. Two twin bedrooms, each with wash basin. Shower room with toilet. Two staircases to first floor: Two double bedrooms, each with 5ft bed and additional single bed (for +1); one with en-suite bathroom with separate shower cubicle and toilet, one with en-suite bathroom with over-bath shower and toilet. Further double bedroom with 5ft bed and en-suite bathroom with over-bath shower and toilet. Twin bedroom with en-suite bathroom with separate shower cubicle and toilet. Two further twin bedrooms, each with wash basin. Bathroom with separate shower cubicle (no toilet). Separate toilet. For a better idea of where Birdforth Hall Cottages - Birdforth Hall is, you can see Birdforth Hall Cottages - Birdforth Hall on the map below. 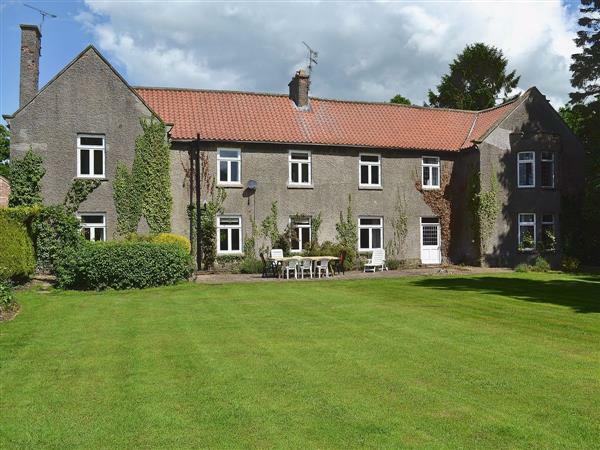 Birdforth Hall Cottages - Birdforth Hall is in North Yorkshire; should you be on the lookout for a special offer, you can find all the special offers in North Yorkshire. It's always worth checking to see what is on offer at the moment. Do you want to holiday near Birdforth Hall Cottages - Birdforth Hall (IYV), you can see other cottages within 25 miles of Birdforth Hall Cottages - Birdforth Hall; have a look to find your perfect holiday location.